Once your application has been shortlisted, you may get invited for a telephone or digital interview as a first round. If you have been successful with this first interview, you are likely to be invited to an assessment centre, which is used by larger employers to assess your suitability for the role. An assessment centre typically lasts a day and may consist of a variety of tests and exercises, such as psychometric tests, a presentation, an in-tray exercise, a group and/or individual exercise, and the second interview, often with a panel of 2 or more interviewers, is an integral part. For some specific roles and applications to small and medium-sized employers, there may only be one interview in person, with perhaps an Excel test or a presentation only, depending on the role. It is assumed that have researched the employer and job sector at the application stage. Go over your research notes again. Also, check the news for the latest reports about the employer and developments in the industry. Also read your application, the job description and person specification. Refresh your knowledge about the tasks you will be doing and then focus on the skills required for the role. Then prepare your answers to potential interview questions and practise these aloud. This can help verbalise your thoughts and makes your answers more memorable. Whilst it is impossible to predict what questions you will be asked, there are some that tend to come up again and again. The most commonly asked questions are: Tell me about yourself! Why are you interested in this role? What will you bring to this role? 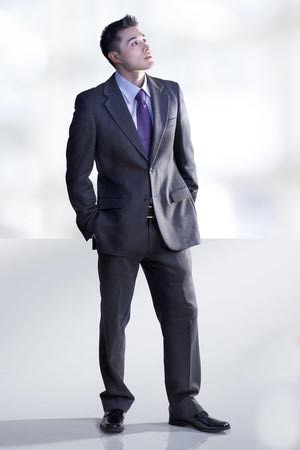 If you’re unsure about how to dress business-like for your personal interview, then perhaps this 20-min. video produced by the Careers Service at the University of Bedford might be useful to watch. This features an image consultant who is working with different students on getting the style right. Click here to watch the video First Impressions Count. If time is at a premium, then you may find this Guardian article useful. As an additional tip, lay out your clothes the night before, so that there are no nasty surprises on the morning of your interview, such as a stain or something else which you can easily remedy on the previous day. Click here for the article. 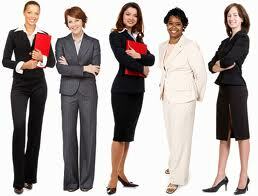 Detailed information about how to dress for interview provided by About Careers: click here. Give me an example where you have worked in a team. What was your role, and what was the outcome? If you don’t know yet about STAR, click here. Prepare by thinking of examples against the specific competencies required for your role (e.g. 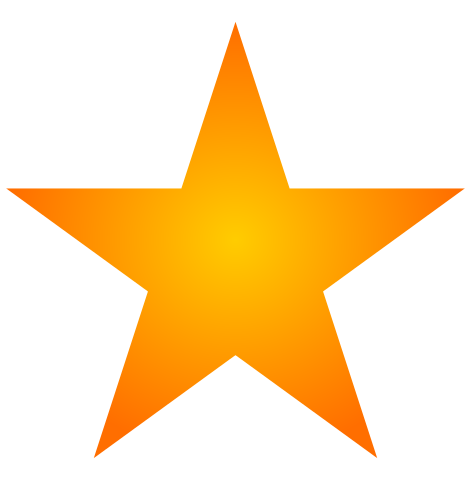 organisation skills, team working, leadership, problem solving), then tell a short story, using the STAR structure. Typically, your answer needs to be comprehensive, but not too long either. Two to three minutes tend to be ample for a concise, yet informative answer. There are many examples of competency questions and how to answer these in section 1 above. This is a typical opening. To answer effectively, prepare a short paragraph that includes information about your current study, any relevant modules and projects, your experience (from work or volunteering), any extracurricular involvement and motivation about the role you are applying for. Avoid telling a long story that starts in the distant past and focus on the present instead. A good answer will be a realistic explanation of where you might be in 5 years from now, showing progression. For example, you might have completed your degree successfully, spent two years on a graduate training scheme and you may have started professional training relevant to your role (make sure that you research this from the outset) and perhaps you might be managing a small team by then or be in charge of some big projects. Nobody is perfect, but your answer should not be about disclosing personal weaknesses, such as always being late or being disorganised. Preferably chose something that you can turn into a positive. The answer needs to show that you have self-awareness and can learn from this insight to do something about your weakness. For example, if you are finding presentations daunting, perhaps you may have learned that researching your topic well and practising your timing is helping you become more confident, thus making presentations less daunting over time. This is not about climbing Mount Everest or a great achievement when compared to other people. Instead, this is a chance to show that you have dedicated your time and persevered with your efforts to achieve something for a good cause or to achieve a personal goal. Having trained for and completed a marathon might be such an achievement, or having raised money for a charity. Where have you been really proud of yourself? Give an example other than having got a place at university. Some employers use different types of interview and whilst competency-based questions used to be very popular, there are other forms in use, such as strengths-based interviews and value-based interviews. These are becoming more popular and are based on positive psychology and focus on your individual strengths. There is a dedicated page on this blog to SBR. Click here to access. Value-based interviews explore how you might be doing things and why rather than talking about your skills and competencies. There are no right and wrong answers, and you are likely to be asked for examples from real-life situations and reflect on these. Questions are likely to be based on the values of an organisation, which tend to be extensively explained on the employer’s website. Do familiarise yourself with the organisation’s mission statement and core values and consider how these match with your values and prepare some examples. Click here for examples of questions. If you’re applying for jobs in management consultancy, then you are likely to experience a case-study interview. A business scenario is presented for analysis and you will be asked to come up with a potential solution or strategic plan. There are no right or wrong answers, and you will be asked to explain your analysis and how you might solve the problem or issue and demonstrate your logical thinking, step-by-step. Case-study interviews test your ability to think on your feet, analyse a problem, articulate your ideas clearly and understanding of the business issues in the given context. Consulting case 101 – a blog site dedicated to getting into management consulting; includes a compilation “A Day in the Life of Management Consultants” series to give you an idea what a typical day of a management consultant looks like in different consulting firms. Deloitte – Preparing for your case interview. The following is a video produced by Sky, but the tips given can also apply to other assessment centres you may encounter. A typical assessment centre has a range of components. These include an in-tray exercise, a group exercise, a presentation, a case study, psychometric tests (e.g. 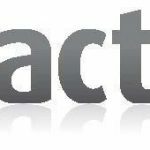 verbal, numeric), a group interview and written tests. To find out more about these, click on the Graduate Prospects page here. This is organised by the Employability Points team at the University of Kent! 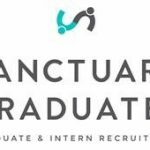 In order to ensure University of Kent students are fully prepared for this method of graduate recruitment, EP arrange mock assessment centres with two top graduate recruiters as EP rewards, Enterprise Rent-a-Car and Santander Universities. A maximum of 10 students will be put through their paces with 1-1 interviews, challenging group tasks and presentations. You don’t need to be interested in retail banking to benefit from this session! All students will receive comprehensive written feedback. All the mock assessment centres will cost 75 points. Click here for details. 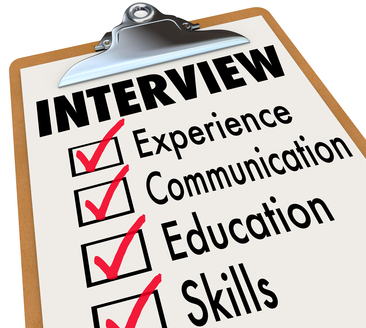 Normally, you get asked at the end of the interview whether you have any questions for them. Some questions might have occurred to you during the interview already. You might want to know when you hear about the outcome of the interview/assessment centre, or you might have read about something in the press and want to know how that could affect the business. Avoid asking how much you will be paid or what your perks will be, which can be discussed when you get the job offered. However, you could clarify the start date, if you are unsure at this stage. If your questions were answered during the interview, briefly say so. Enterprise Rent-A-Car have recently posted some tips about questions that would impress them: Six great interview questions and why you should ask them. e-Financial Careers have published an article on this topic with questions to consider. Click here to read. Write a short email to thank the employer for the opportunity to participate in their assessment centre or for having had the opportunity to attend the interview. Reflect – make some brief notes: what went well? What did not go so well? Why? What were the most difficult questions for you? Was your preparation sufficient? If you have not been successful this time, ask the employer for feedback. What were the perceived weaknesses? How might you be able to improve for another time? Consider making use of careers professionals at KBS or CES. Might a practice interview help? Go to Careers Advice in this blog and book an appointment. 10. Oh dear! – When things have not worked out. Here are two articles about debriefing after an interview that has not gone according to plan. How do you recover after the job interview from hell? All may not be lost. Click here for three tips about how you can salvage an interview that you think you may have messed up. We’ve all been there: a bad interview can be an extremely demoralising event. However worldly or thick-skinned we are, it’s hard not to take it personally when our interviewers don’t appreciate what we have to say or to shake it off when we don’t do ourselves justice. With emotions running high in the hours that follow, the natural reaction is to try and move on and put the experience behind you. Don’t. Instead of reaching for the comfort food or heading to the nearest public house, now’s the time to debrief, to look at things objectively and to analyse what went wrong. Start with the facts. Piecing together the key details from the interview – the names and roles of your interviewers and the questions they asked – can help you start to deconstruct why things went sour and will provide a platform for more in-depth analysis. With the details in place, try taking yourself back to the scene of the crime and to some of the more subjective observations you made like the reactions of your interviewers as you spoke and their body language. While you might not have picked up on it at the time, things like crossed arms or looking past you could signify disapproval or disinterest in what you had to say. While not always pleasant, assessing your own performance is one of the most important parts of the debriefing process. Were you prepared or relaxed enough going into the room? Which questions did you particularly struggle with and did you ask enough of your own? It’s important to be as honest with yourself as possible, but try not to be overly critical or discount the things you did well. Writing a list of the positives and negatives can help maintain a balanced view. Of course, the steps outlined above can be just as easily followed after a good interview as a bad one. You’ll want to make sure the things you did well weren’t just a one-off. The key in both cases is to maintain some objectivity and treat it as a valuable learning exercise.